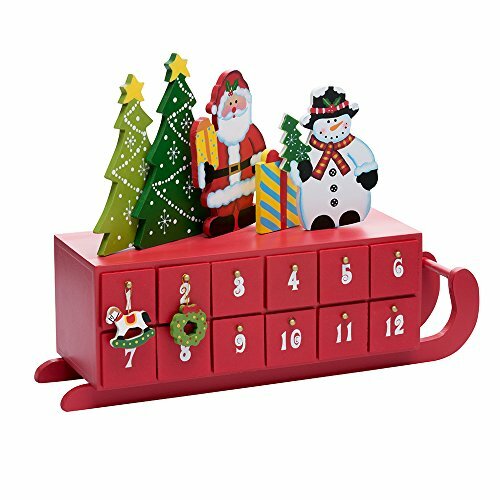 Count down to Christmas with this adorable Kurt Adler 14" Wooden Sleigh Shaped Advent Calendar! Featuring a wooden cut-out Santa and snowman holding presents standing next to Christmas trees, these figures are placed on a wooden rectangular box on the red sleigh. In the red box are twenty-four drawers containing twenty-four ornaments. When all ornaments are out of the drawers, it's time to open the Christmas gifts on Christmas morning!.